Wood floors can enhance the beauty of your home as well as the re-sale value, therefore proper care and treatment of your wood floor is imperative to its lasting beauty. 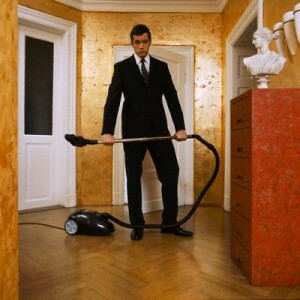 Daily Care – Sweep or vacuum with a soft-bristled attachment to keep dust or dirt particles off of floor. Hardwood Floor Cleaner Kits – Bona, the leading provider in Wood Floor Finishing, offers a specialized designed Hardwood Floor Cleaning Kit. The Kit includes, A specially designed Bona Mop, 32 oz. Spray Bottle of Bona Swedish Formula cleaner, one washable terry cloth mop head cover and instructions. This item is available for purchase at our office as well as the 32 oz. replacement Spray. Re-Finishing – It depends on the wear, but with proper care and maintenance maybe every 5 years it can be buffed and 1 new coat of finish may be applied. Again, your floor can last a lifetime with proper care and treatment. Please feel free to call us with any other concerns or in the future when it comes time to do touch-up’s or re-finishes. 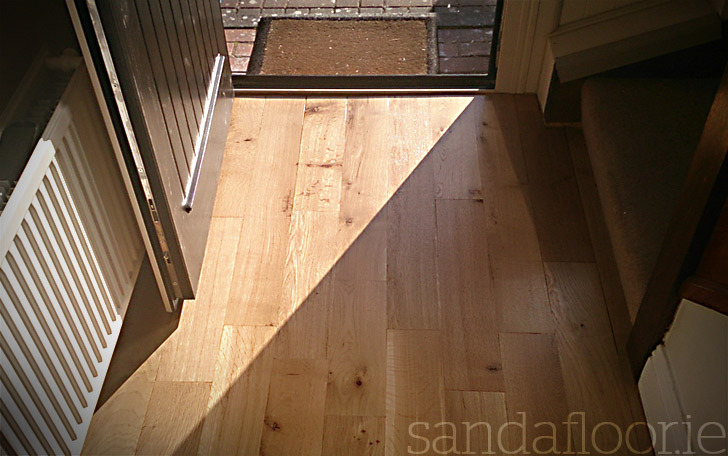 Wood floor repair is part of our service too which can mean working on anything from historic projects to commercial repair or every domestic wood floor repair. 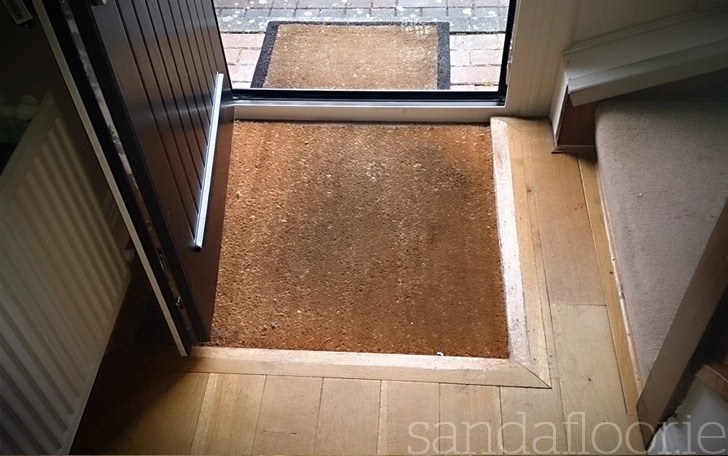 In this case domestic wood floor repair, a customer wanted to remove a mat well. You might say that mat wells work best in commercial settings but in this case it looks better to have the mat well removed! 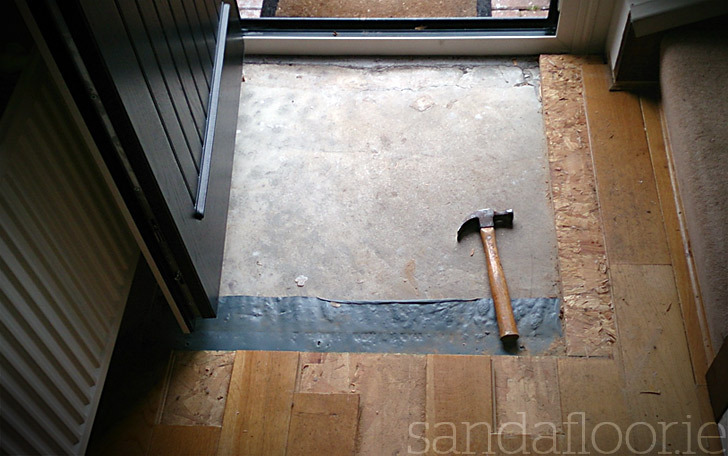 The wood floor repair example above shows before, during and after pictures of a wood floor repair job involving removing a matt well and replacing with newly integreted solid wood floor. Share the post "Floor Repair"